Rafael Baxa is an android enthusiast currently working as a web developer. He likes to compare and review apps and websites. 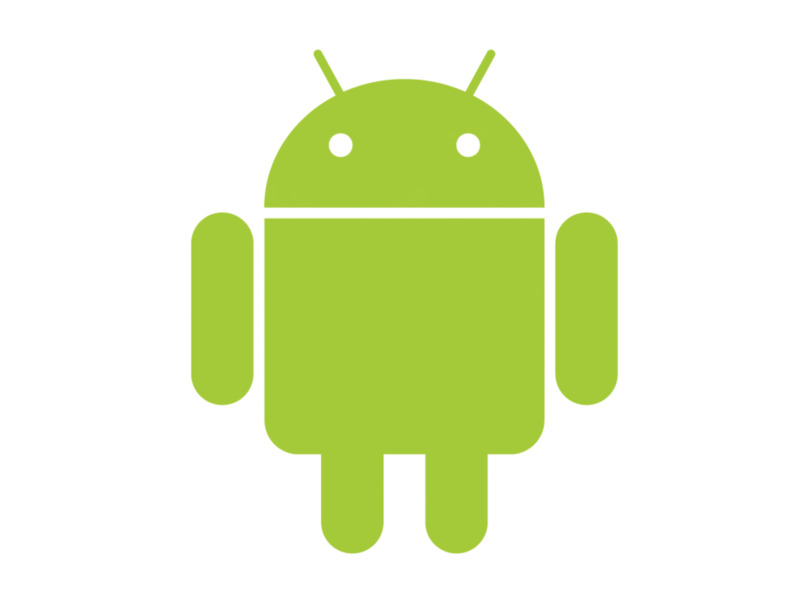 One of the key features of an android phone is its customizability. 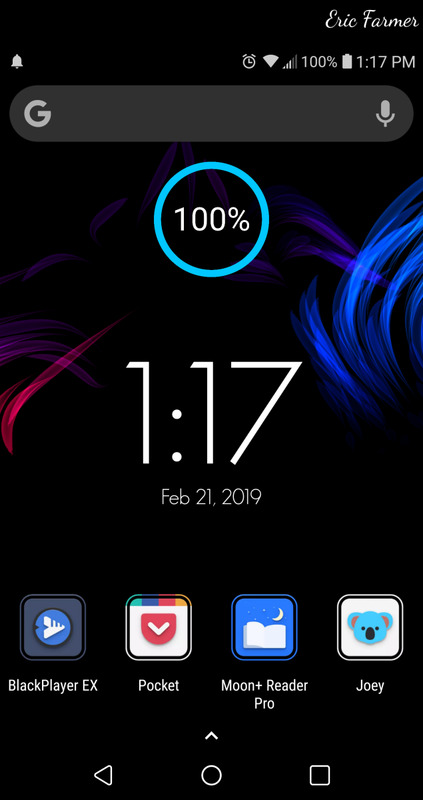 With a variety of home launchers, lock screens, widgets, custom ROMs, android users change the way their phone looks according to the time or their mood. Just as you can say a lot from a person’s looks, you can say much more from their home screen. 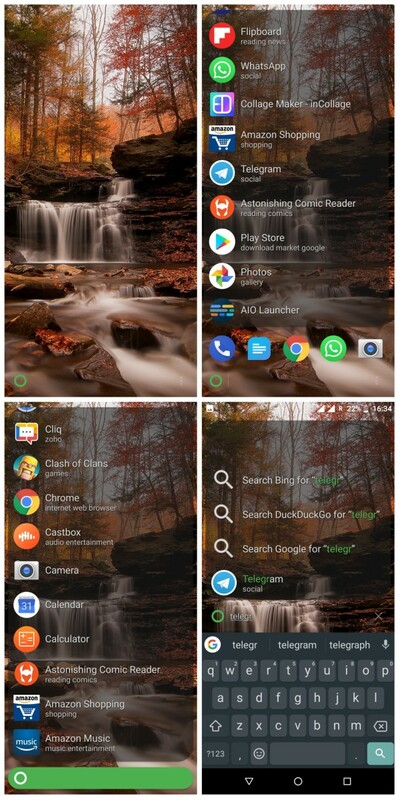 When it comes to home screen, a launcher is the topmost thing to change the looks of your phone, and since there a hundreds of them in the play store trying them all is a bit troublesome. So here is a list of some of the most unique launchers currently available in the play store. Choose the one that suits you! Recents– showing recently taken pictures and any recent activities including instant message previews. People – your shortcut to call, message or view recent contacts. Widgets – an endless page for your widgets of course. Apps – which shows your chosen or your most used apps. Documents – Your documents that can be synchronised with your OneDrive documents. Reminders – this can be kept offline or synchronised with Wunderlist. It is recommended to anyone who uses Microsoft as their daily driver. 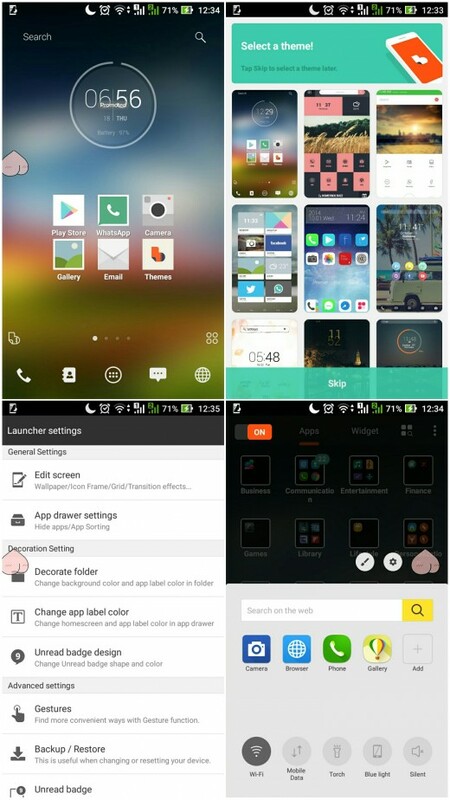 Smart launcher started out with a single screen with simplicity as its aim and people loved it for that. The app is fast and consumes less RAM for all it delivers. The main screen allows any number of apps to be added as shortcut in three different designs, with the default one being a dial shape. The apps page features the apps in various categorized folders. 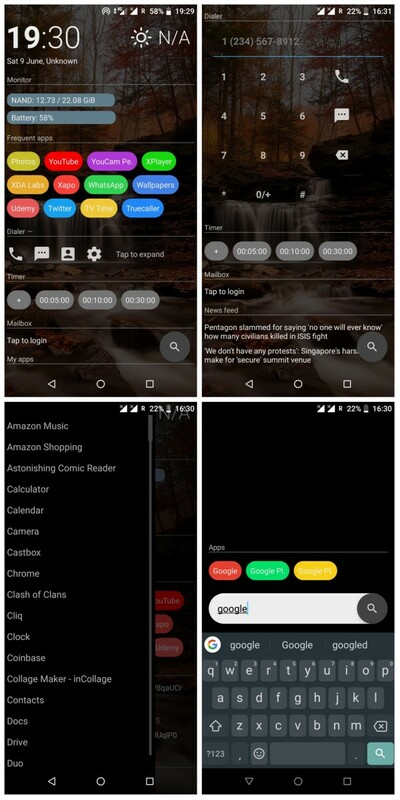 The app started out simple but after many updates it now features a set of separate pages for widgets, but that hasn’t affected the memory consumption much as the app is still small in size, stable and fast with a number of downloadable themes. 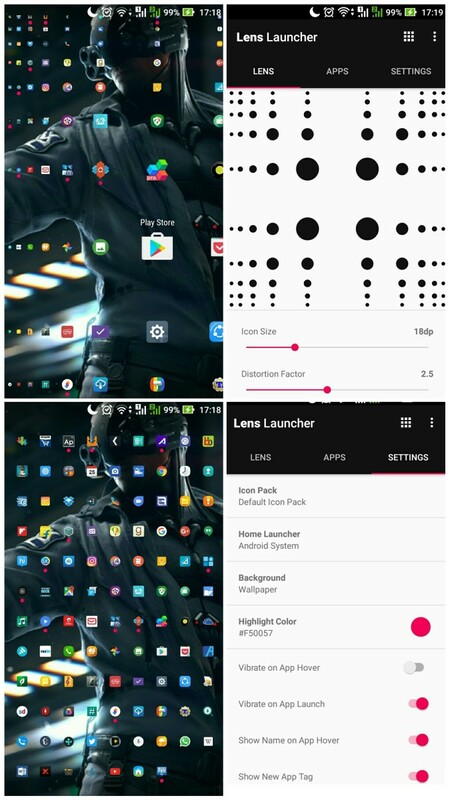 Anyone who has used a launcher will probably be familiar with Nova launcher. It’s probably the highest rated launcher and has been such since its inception. The app is pretty neat and allows all kinds of customization. 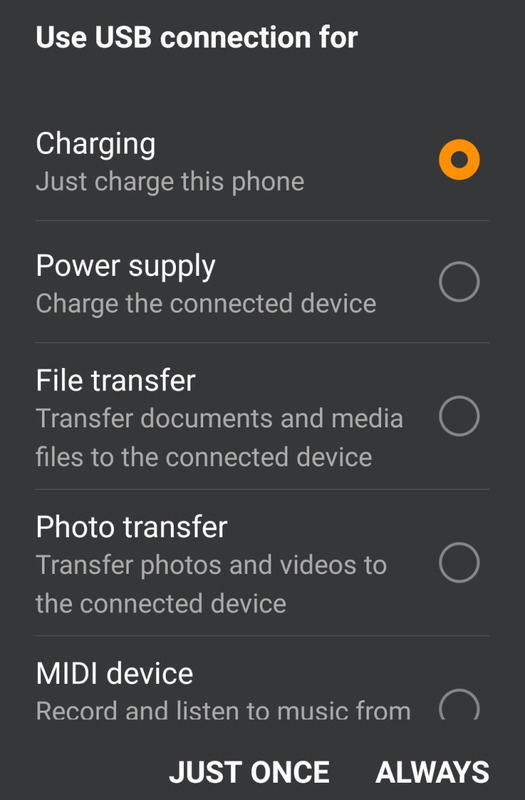 You would be surprised when you see the whole list of options available in the settings. 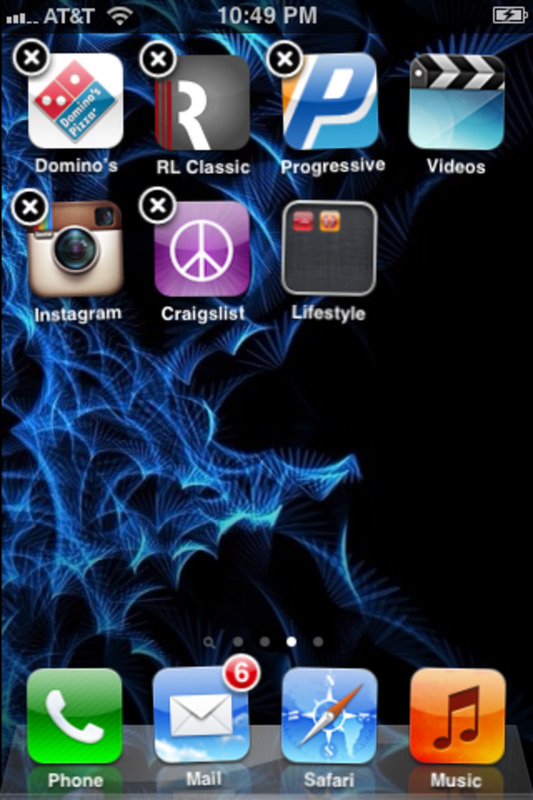 It allows folder, app and effects customizations to name some. The app is stable and frequently gets updates. Ap15 is a very light launcher in every sense of the word. It has no icons and its size is only in KBs. So how do you think it displays the apps? The names, of course. In this launcher there is only one screen, so anyone looking to get out of too much complexity should probably take a look at this, and this screen is a list of your apps in words – not icons. And to make it look cool and to improve usability, the size of the app name grows everytime you click it and there’s also the option to change the font, its size and colours. Among all the others that display icons, this one does stand out. 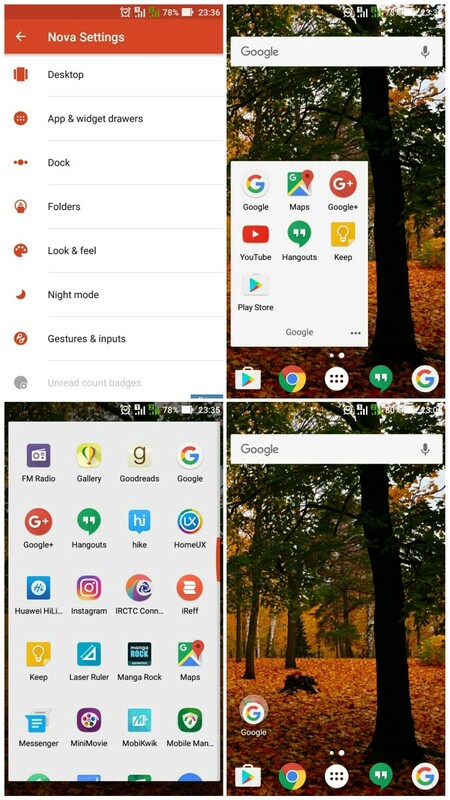 Lens launcher goes a step ahead and removes the trouble of scrolling from the other simple launchers that display only the apps. So all you get is a single screen and that too without any trouble of scrolling. All your apps are on your screen and you only have to swipe around to zoom it and open one. But trouble comes when you have way too much apps and all you see is little dots of them in the home screen, but don’t worry the app comes with some customizations to overcome that. 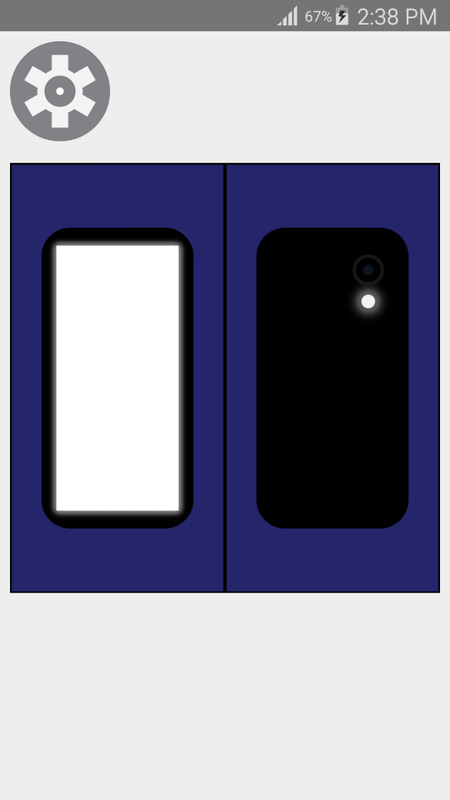 Have you ever come across anyone using a Windows phone and felt a little twinge of jealousy seeing their fancy tile screen? But then you would never get to see that because you refuse to betray the side of the Androids. Worry not! Launcher8 has come to save you. 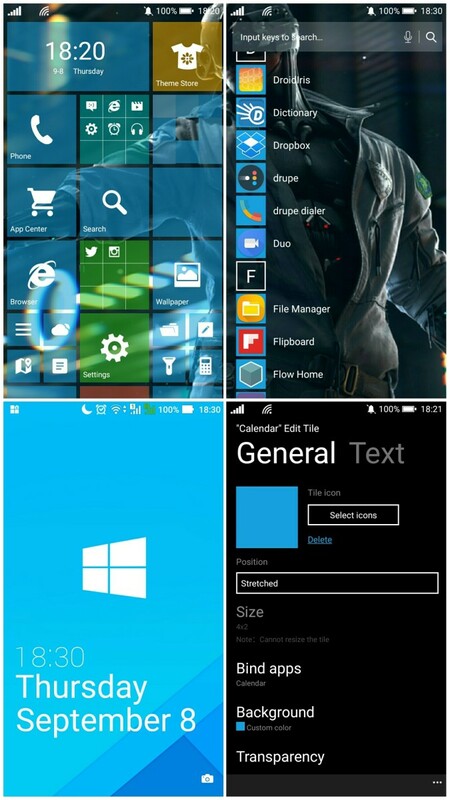 It’s true that there are many launchers in the app store to emulate the experience of a windows phone, but once you use all of them you will understand that no one does it better than Launcher8 with its exact duplication of almost every aspect of the windows phone including the status bar, lock screen and the modifiable tiles. It’s something that you should definitely try out. 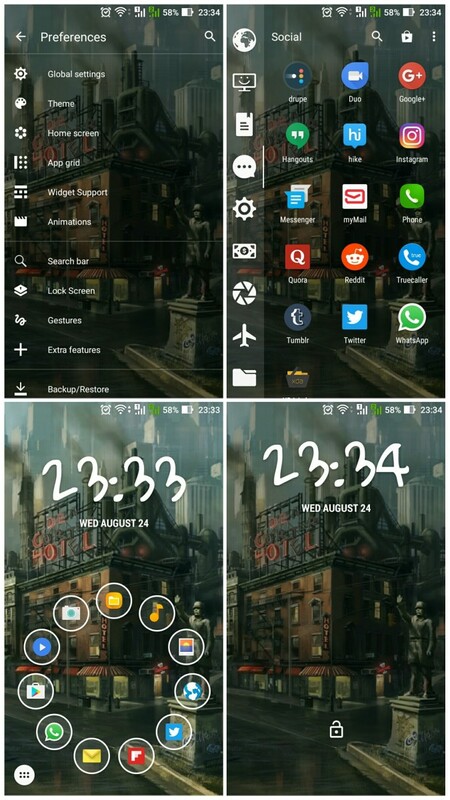 Buzz launcher has become a playground for anyone who’s looking to modify the entire theme of their phone. The launcher comes with plenty of themes made by other users and even you can create your own and submit them. 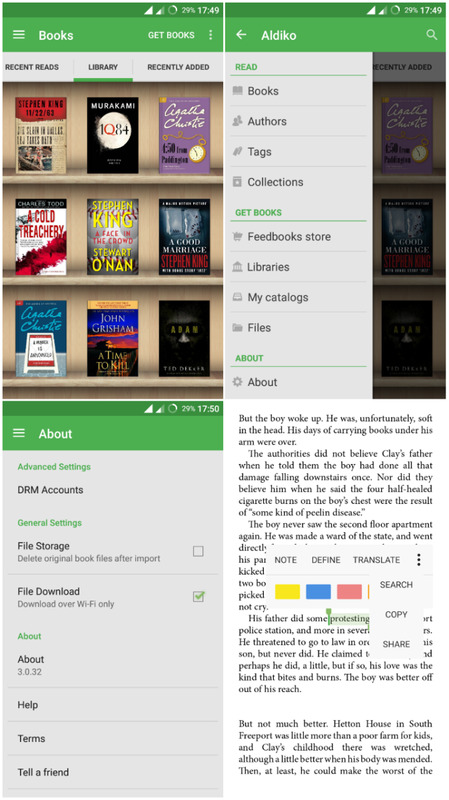 It allows pages to be customized in a variety of ways, so you may have to spend some time if you want to personalize every part of the home screen, or you may just download one already made by someone and apply it. You can even search for themes based on categories and apply them depending of the time of the day or to set your mood. AIO launcher claims to be no ordinary launcher. It has let go of the usual icons and brought you everything you need in the homescreen itself. The main screen consists of a semi-transparent layer of widgets which includes your frequent apps, contacts, last SMS and calls, news, RAM usage, battery stats, calendar, exchange rates and other custom widgets that you add. 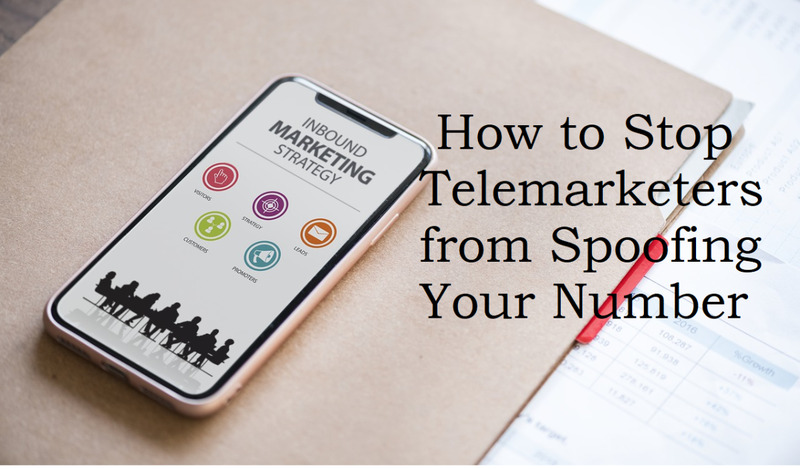 The screen has a dialer so you won't even need to open your phone app to make a call. You can add your Twitter, E-Mail and Telegram accounts and get your messages in your homescreen itself. It also has a floating search icon that you can use to search for your apps and contacts or search the web. If not, you can just swipe right and access all your apps in your usual way. There's also more to the app if you're willing to buy the premium version. Keep It Simple, Stupid. That's what the KISS stands for. 'Stupid' is exactly how I thought it looked like when I installed it for the first time. But boy, was I wrong. It's what I am using right now, and it is extremely smart. KISS launcher is a completely free, open-source, lightweight launcher. The app itself measures less than 200 KB, and also goes easy on the RAM. The main screen shows your history, which includes your recent or frequently accessed apps, calls, and SMS. 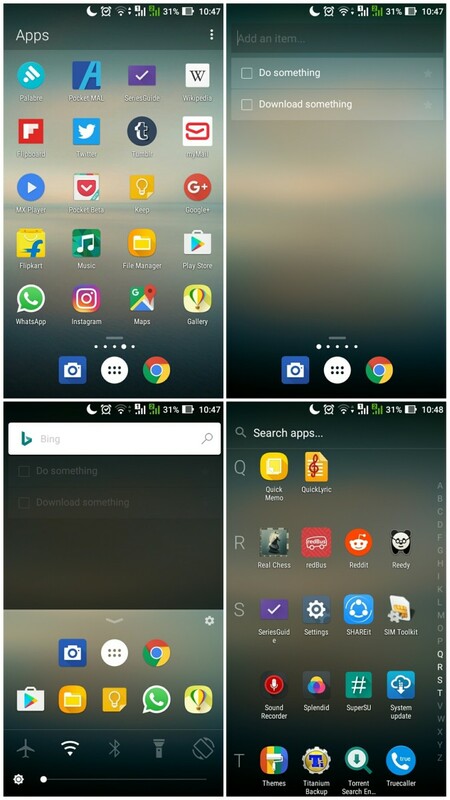 There is a search bar at the bottom which is the key feature of the launcher, that you can use to search your apps, contacts, or just search the web using any search provider. For all those, like me, who like to keep their screens clean, there is the minimalistic mode. This mode hides your history and favourite apps and shows them only when you tap the screen. You can even activate fully immersive mode, hiding the status and navigation bar, leaving nothing in between you and your beautiful wallpaper. So this is a set of some really unique launchers present in the Google Play Store. There are plenty others that I have not mentioned, but these are the top ones that I felt were different and needed to be pointed out. If you find something unique that I have not listed here, please do mention in the comments. What's your most preferred launcher? Try Niagara... Simple and clean..
Good article. I use Kiss, AIO and Smart, because they're different. But the launcher I use most is Total, which I favour, even over Kiss. Evie Launcher by far still top best Android Launcher!